The Honduras Water Filter Project began in Arlington in 2007, through the efforts of Honduran ex-patriot, Norma Love. Ms. Love knew well, the poverty and great need the people had for clean drinking water. Over the past ten years, more than 3,300 water filters have been installed by members of District 5790. On July 26th, during the regular club meeting of the Lewisville Noon Rotary Club, member John Kazor and visiting Mansfield Rotarian, Russ Wilson, shared their experience serving on a team of District 5790 Rotarians in the eastern, and most remote part of Honduras, known as the Mosquito Coast. This region of Honduras has no real road infrastructure to speak of and is so remote that South American drug traffic flows through this region. 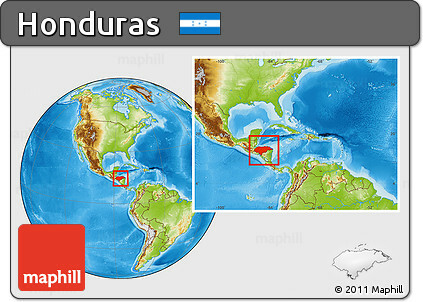 The people to this remote and primitive region are further isolated from the rest of Honduras by a language barrier. The people of the Mosquito coast do not speak Spanish, like the rest of Honduras, but instead speak Mosquito. Prior to deploying to the destination village of Tikiraya, Russ, John and the other Rotarians, worked in Puerto Lempira to assemble the simple water filters that would be installed in the "homes" of each of the 247 families in the village. Russ and John shared how their mere presence was a strange and peculiar thing to the natives, as they don't see many Caucasian visitors. While in the village, they worked to install and train each family on the proper operation and care of their water filter. Thankfully the Rotary International grant also provides for someone (in country) to check in on the families to insure they are using and properly maintaining the filters. Russ and John shared what a life changing experience it was to visit that culture and the overwhelming realization of how blessed we are to be born into a first world country. Even with the extreme poverty and poor living conditions of the Mosquito people, John remarked about how happy many of the natives were, despite their relative poverty. Russ and John closed with a message of encouragement to our Lewisville Noon Rotarians to give serious consideration to joining them on the next trip to Honduras for this life giving project.